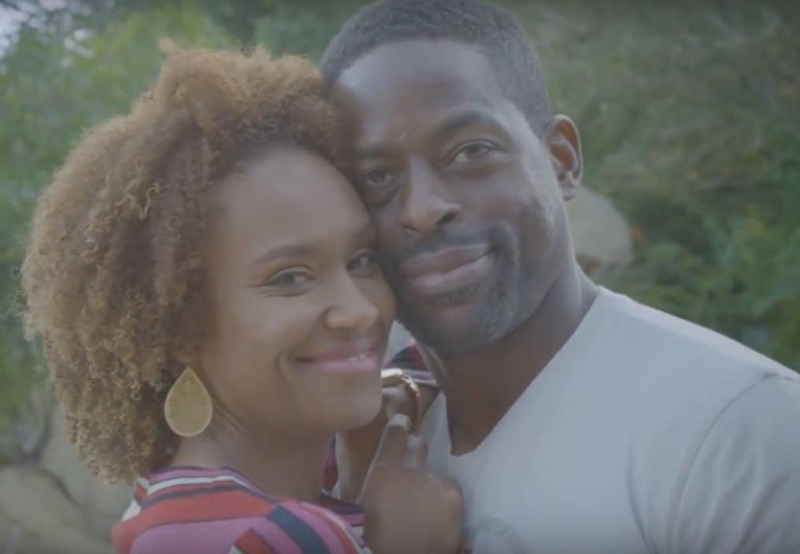 The adorable video features Sterling K. brown, Omari Hardwick, Tamera Mowry Housley, Erica Campbell and PJ's real-life wife, Kourtni. PJ Morton just released the music video to his Grammy-nominated song, “First Began” and it’s a must-see ode to love. In the visuals for the track PJ and his wife Kourtni star alongside famous couples including Erica Campbell and her husband Warryn Campbell, Sterling K. Brown and his wife Ryan Michelle Bathe, Omari Hardwick and his wife Jae, and Tamera Mowry Housley and her husband Adam. The video starts with a few of our favorite celebs explaining how it felt when they first started dating their spouses. “When we first began it felt like we had been around each other for decades and that is just an amazing feeling,” says Omari Hardwick. “When we first began, it was like hand and glove. It was the most amazing experience ever,” adds This is Us star Sterling K. Brown. “When we first began it felt like he was my best friend,” says Tamera Mowry Housley. The adorable video depicts these famous couples cuddling, holding hands, laughing, and just enjoying their love. The highlight of Morton’s “First Began” video is when the men express gratitude for their partners. “The success that we have experienced together would not be possible without my wife leading the way so thank you for holding a brother down. I appreciate you,” says Brown. “After being together for a lot of years now we still have a good time together. We still enjoy each other’s time,” says PJ. “Yeah, and we actually like each other,” adds Kourtni.